My son came home from his first day back at school with homework. I'll admit, I teased him a little. "Well, honey, you're getting older — they expect a lot in sixth grade! I'm not surprised you have homework already." "Oh no, Mom," he corrected me with a smile. "This assignment is for you." I can't even begin to tell you how much he adored this turn of events. Naturally, the concept of your mother doing homework is endlessly amusing to a sixth grader. But soon it was my turn to laugh, because I read the instructions (something he'd neglected to do, apparently) and discovered the assignment was to write a letter to the teacher — about him. I suddenly found myself with the power to alter the course of his entire school year. Should I embarrass him? Create an insane fictional past? Invent a nickname that would follow him around until he moved out of state and assumed a new identity? 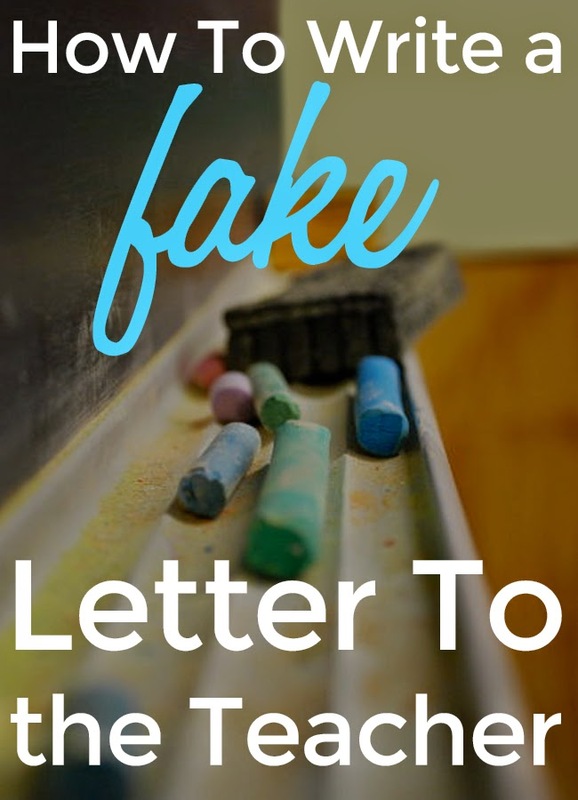 Find out how I handled the situation (hint: not very maturely) over on momdotme, in How To Write a Fake Letter To the Teacher! Then let me know if you think he'll ever forgive me - or if the teacher ever will. Labels: humor, I'm having too much fun, mom.me, parenting, school, There might be something wrong with my head., What did you say?